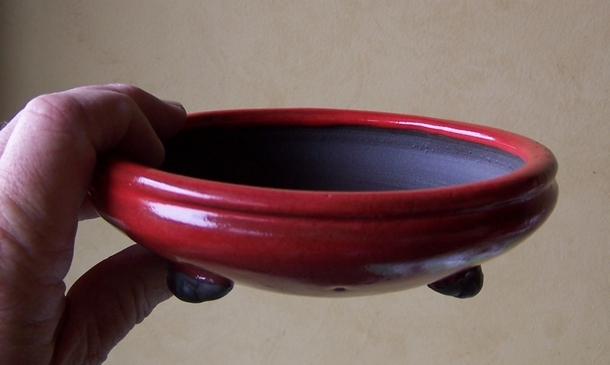 Ms. Santa brought me a small, bright red, Japanese pot. What goes in it? Something with white flowers? Crape myrtle? Azalea? Flowering Quince? Something with no flowers but nice fall color? Trident maple? Crape myrtle, thus killing 2 birds with one stone? Ms santa was busy too! How about putting a Forsythia or Jasmine in it. 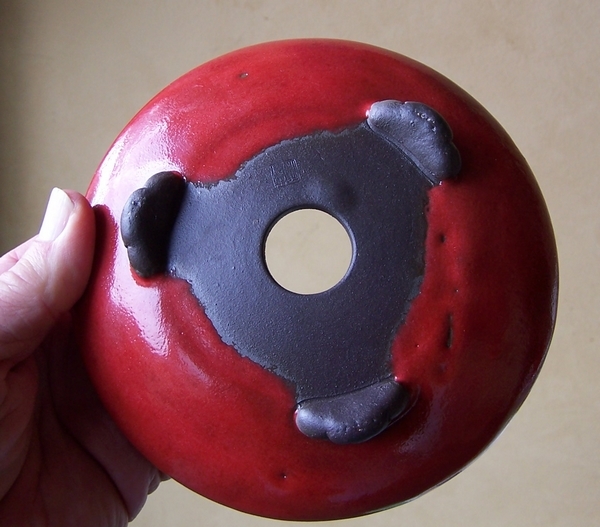 Imagine the bright yellow flowers with the red glaze - stunning! I'm sure you'll find something nice. Hmm. Never have grown a Forsythia. It's certainly worth a thought. Many thanx. Almost all the Pyracantha around here are a vibrant orange -- not a good match for an almost pure red in the pot. Cotoneaster may well be OK. I'd have to get something larger than the miniature version I grow in my mame pots.